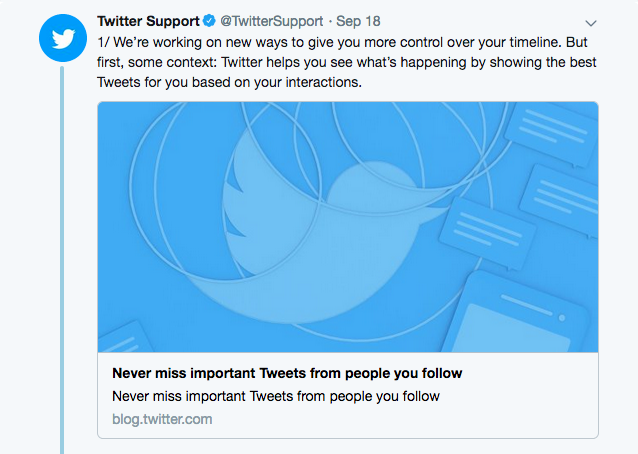 Twitter has recently announced that they will be bringing back the option to have a chronological timeline for users, which is a welcomed announcement for many who have become frustrated and confused with the current timeline they are faced with daily. Wave goodbye to “In case you missed it”, until you actually do miss it! 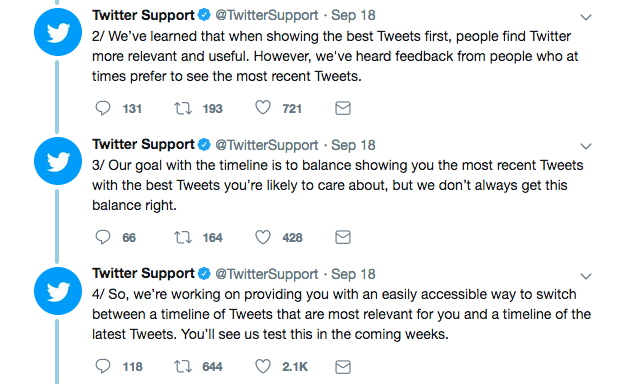 Back in 2016 Twitter introduced its algorithm which was supposed to give users a better experience on their timeline, attempting to make people’s feeds filled with more quality content. However this meant that the feeds were no longer chronological since then. Many users did not welcome the algorithm change and the feeling has grown ever since with people disappointed that they are continually seeing older posts, not always relevant to their interests with the rearrangement of their timeline. Twitter maintains that it’s providing the ‘best’ tweets first by using the algorithm but this is not the consensus from many. 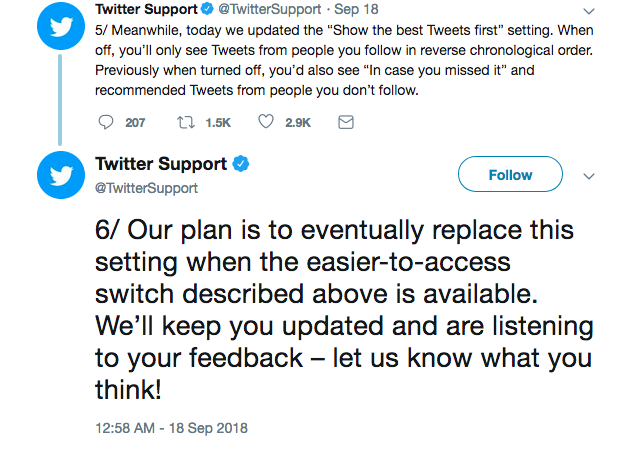 In a series of threads on Tuesday morning, Twitter Support announced its decision to re-introduce the ability to see tweets in the order they were tweeted – a direct response to criticisms of its current system. Twitter helps you see what’s happening by showing the best Tweets for you based on your interactions. We’ve learned that when showing the best Tweets first, people find Twitter more relevant and useful, however we’ve also heard feedback from people who, at times, prefer to see the most recent Tweets. In the meantime while we wait for the changes, Twitter has updated the setting to “show the best tweets first” to only show tweets from people that you follow, rather than the recommended or popular tweets as before. Twitter timelines are busy and fast moving and often it can be hard to spot what you really want to see but hopefully the new changes will give way for users to find the platform more appealing and relevant for those who want to stay up to date.